If you read much science fiction, you probably recognize this as subvocalization, which has been under study by the Army and NASA. However, from what we know, the positioning of sensor electrodes is crucial and can vary not only by speaker, but also change for the same speaker. Perhaps the MIT device has found a way around that problem. You can see a video of the system, below. Nostalgia is a funny thing. That desire we all get to relive past memories can make you do things that in any other scenario would be out of the question. The effect seems even stronger when it comes to old video games. How else can you explain buying the same games over and over every time they get “remastered” for the next generation of consoles? But what if those remasters aren’t good enough? If you have a burning desire to play a 100% accurate version of certain old arcade games, you might have your work cut out for you. Getting precise ROMs from some of these machines is exceptionally difficult, and as explained on the [CAPS0ff] blog, sometimes requires nearly superhuman feats of engineering. As explained in the blog post, less invasive methods of getting inside the Taito C-Chip had already been examined and come up lacking. Despite best efforts, sending the unlock command to the chip didn’t yield the desired effect. If you can’t read the ROM the usual way, you need to get a little creative. 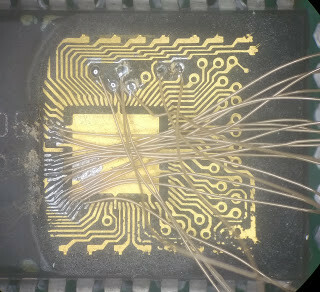 The process starts by milling down the case of the chip until the integrated circuit is just starting to become visible. Then acid is used to fully expose the traces. The traces are then tinned, and some very fine soldering is done to get the chip wired up to the reader. All told it takes about three hours from start to finish to pull a ROM using this method. But it’s all worth it in the end when you can play that 100% accurate version of Rainbow Islands. Or so we’ve been told. If you couldn’t tell, this isn’t the first time a chip has been flayed open like this on the [CAPS0ff] blog. A reasonable selection of the Hackaday readership will have had their first experiences of computing on an 8-bit machine in a black case, with the word “Sinclair” on it. Even if you haven’t work with one of these machines you probably know that the man behind them was the sometimes colourful inventor Clive (now Sir Clive) Sinclair. The finest in 1950s graphic design, applied to electronics books. He was the founder of an electronics company that promised big results from its relatively inexpensive electronic products. 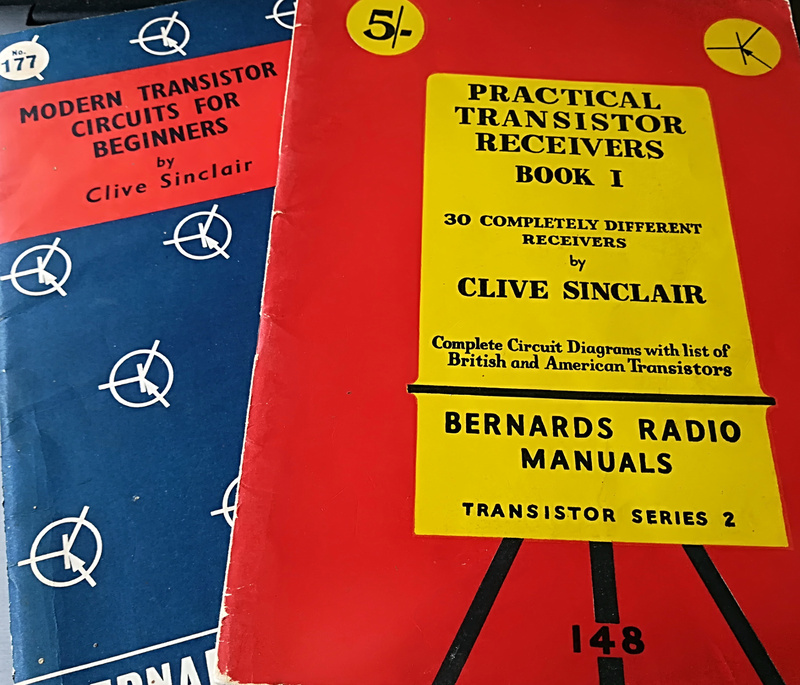 Radio receivers that could fit in a matchbox, transistorised component stereo systems, miniature televisions, and affordable calculators had all received the Sinclair treatment from the early-1960s onwards. But it was towards the end of the 1970s that one of his companies produced its first microcomputer. At the end of the 1950s, when the teenage Sinclair was already a prolific producer of electronics and in the early stages of starting his own electronics business, he took the entirely understandable route for a cash-strapped engineer and entrepreneur and began writing for a living. He wrote for electronics and radio magazines, later becoming assistant editor of the trade magazine Instrument Practice, and wrote electronic project books for Bernard’s Radio Manuals, and Bernard Babani Publishing. It is this period of his career that has caught our eye today, not simply for the famous association of the Sinclair name, but for the fascinating window his work gives us into the state of electronics at the time. If you study the specifications of the ESP8266 WiFi-enabled microcontroller, you will notice that it features an I2S audio interface. This is a high-speed serial port designed to deliver 16-bit audio data in a standard format, and has its origins in consumer audio products such as CD players. It would be usual to attach a dedicated DAC to an I2S interface to produce audio, but [Jan Ostman]’s synthesiser projects eschew that approach, and instead do the job in software. 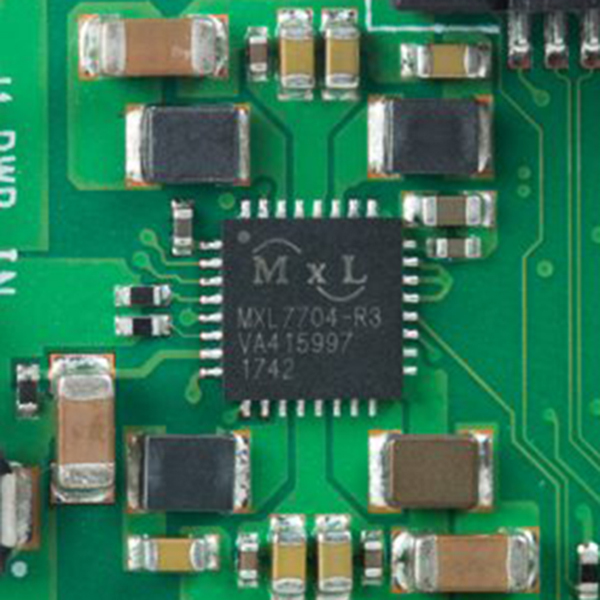 His I2S interface pushes out a pulse density modulated data stream in the same manner as a 1-bit DAC, meaning that the only external components required to produce audio are a simple low-pass filter. He’s posted a video of the synth in action, which we’ve placed below the break. The example he gives us is a basic clone of a Roland 909 drum machine, and he takes us through the code with extensive examples including MIDI. He’s using the Wemos D1 Mini board, but the same could be replicated with many other ESP8266 platforms. We’ve featured [Jan]’s work many times before, from his minimalist Atmel-based devices through to small but perfectly-formed complete instruments. To Ferrule or Not to Ferrule? We recently posted about a spectacular 3D-printer fire that was thankfully caught and extinguished before spreading to the hacker’s house or injuring his family. Analyzing the remains of the printer, the hacker determined that the fire was caused when a loose grub screw let the extruder’s heater cartridge fall out and touch the ABS fan shroud. It ran full-on and set things on fire. A number of us have similar 3D printers, so the comments for this article were understandably lively, but one comment stood out by listing a number of best practices for wiring, including the use of ferrules. In particular, many 3D printers connect the heated bed, which draws a lot of current, with screw terminals to the motherboard. While not the cause of the fire in the original post, melted terminal blocks are a common complaint with many DIY 3D printer kits, and one reason is that simply jamming thick stranded wire into a screw terminal and hoping for the best can result in increased resistance, and heat, at the joint. In such situations, the absolutely right thing to do is to crimp on a ferrule. So let’s talk about that.